The tempting aroma of som tam and grilled chicken wafts across the park. Children clutch colourful balloons and the infectious sound of mor lam folk music fills the air. Perched precariously on top of hand carts, archaic sound systems blast out the toe-tapping tunes. Groups of men in sun hats bang out the rhythm on the long drums as local musicians pick up the beat on their country-style electric guitars. Elegantly dressed middle-aged women form a dance group, teenagers snap selfies, families enjoy picnics and all around there is laughter. Welcome to the party. Welcome to Ubon Ratchathani. 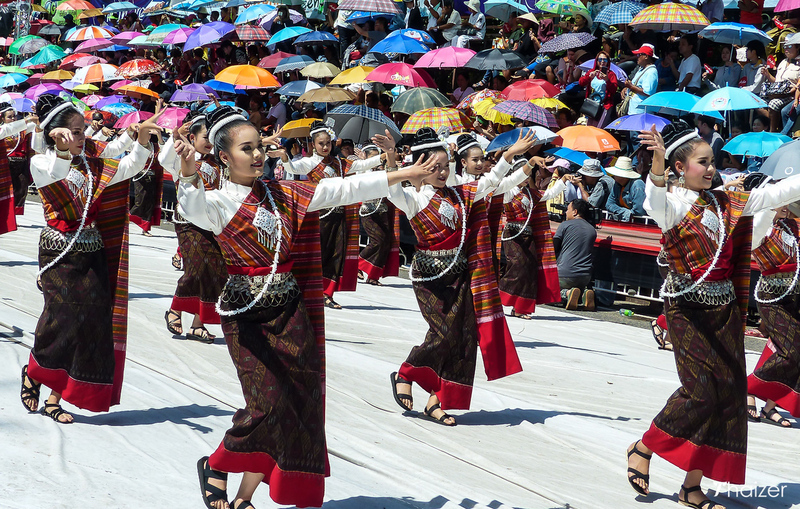 Thai people know how to enjoy themselves, but in the Isaan region in the north-east of the country they take it to another level. And amidst the merriment and sanuk, giant waxwork figures from Buddhist mythology gaze down benignly over proceedings. 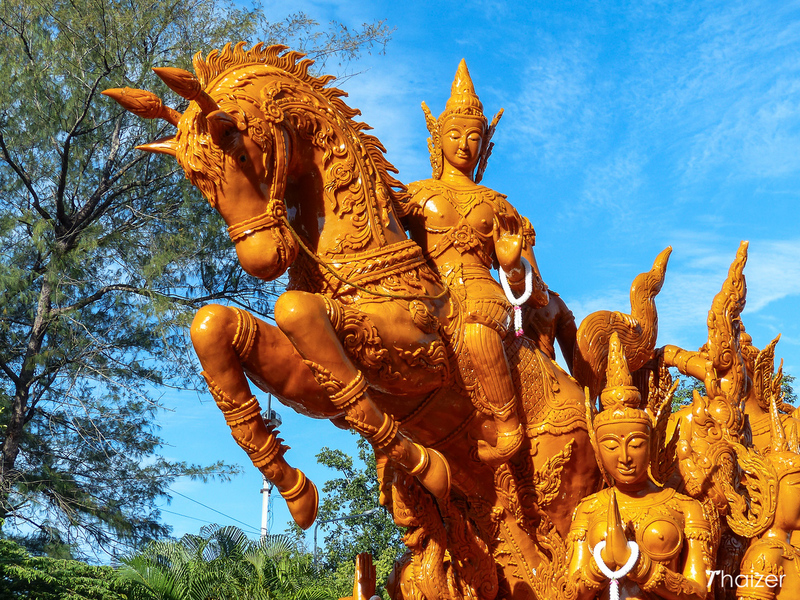 The intricate wax sculptures — the result of weeks of painstaking work by teams of skilled artisans — form the centrepiece of the annual Ubon Ratchathani Candle Festival. 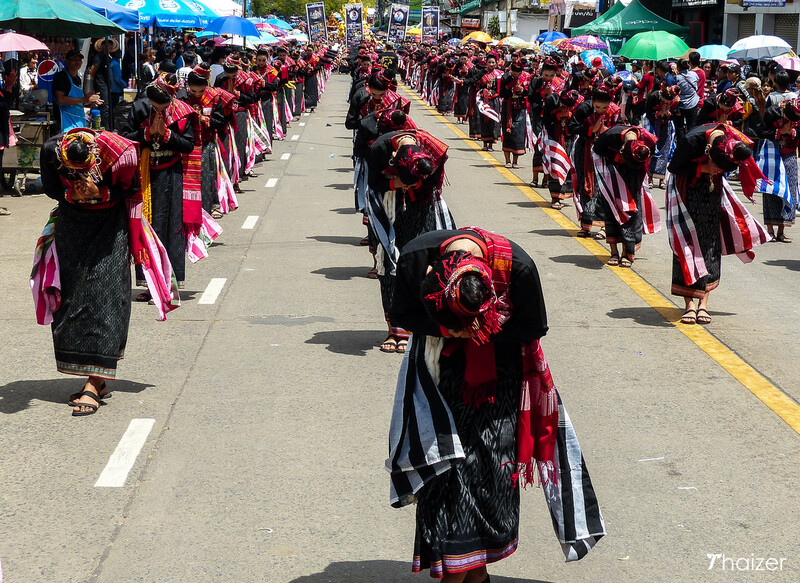 The festival has religious significance, but like many events in Thailand the element of sanuk is an integral part of the experience. 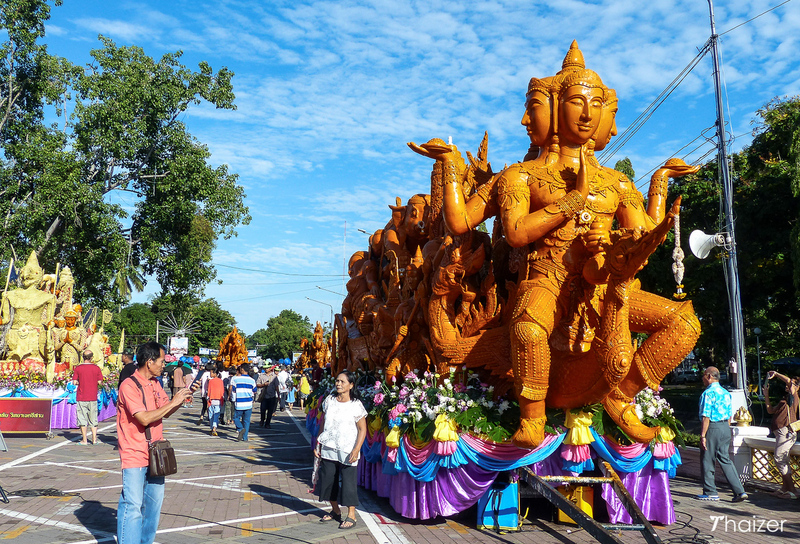 The Ubon Ratchathani Candle Festival celebrates two important Buddhist events: Asahna Bucha and Khao Phansa. The exact date of Asahna Bucha varies from year to year depending on the lunar calendar, but usually falls in July. Asahna Bucha marks the day when the Lord Buddha delivered his first sermon at Benares in India. The day after Asahna Bucha is known as Wan Khao Phansa and marks the start of the three-month ‘Phansa’ rains retreat period which is sometimes referred to as ‘Buddhist Lent’. At this time of year it’s a tradition for Thai Buddhists to donate candles to the temple to make merit. This tradition stems from a time long before electricity had been invented. During the three-month rains retreat period monks were not permitted to travel away from their own temple and relied on candlelight more than ever to study and carry on their daily routines during the darker days of the rainy season. Originally, the donation of candles to temples was a simple and practical way to make merit. However, the arrival of electricity meant there was more leeway for candles to become decorative offerings. In some provinces in Thailand, this transformed into friendly competition with local communities aiming to outdo each other by creating bigger and more elaborate candles to donate. 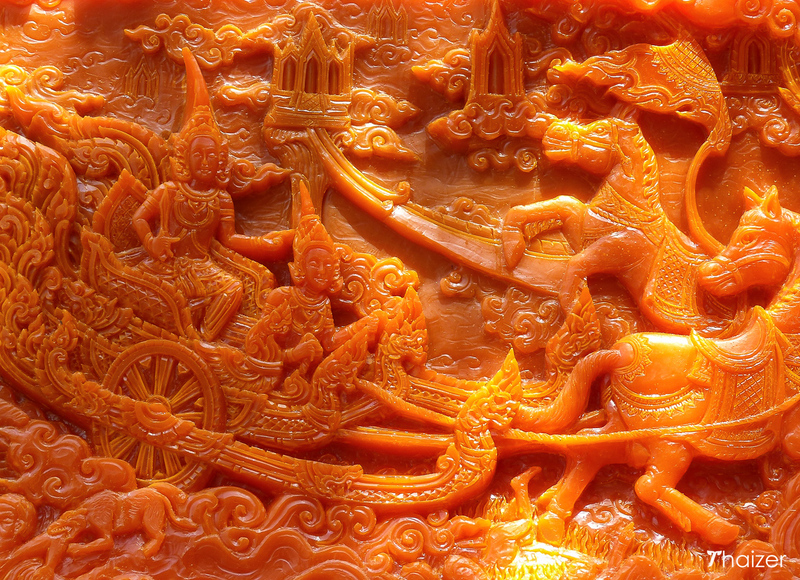 In Ubon Ratchathani, this in turn led to wax sculptures being created to mark the arrival of Khao Phansa. 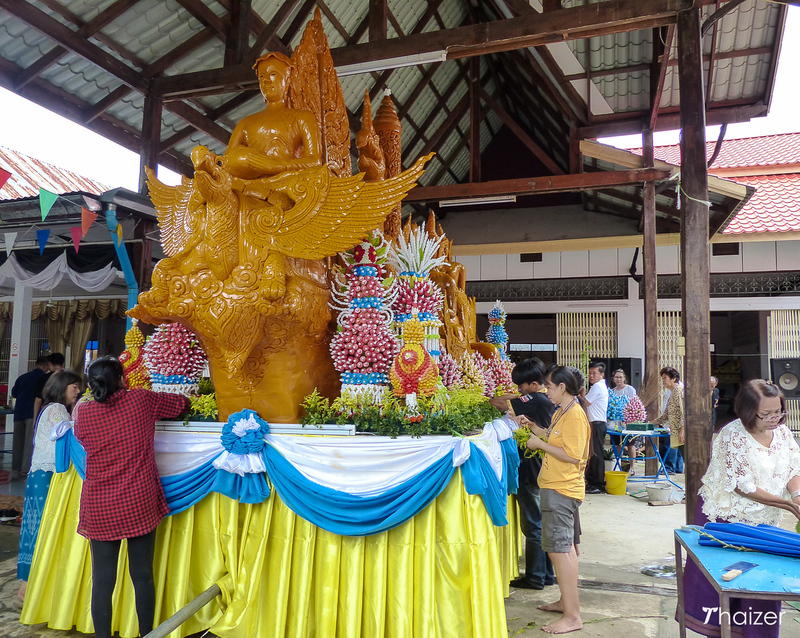 As more community groups became involved this gradually transformed into the Candle and Wax Festival seen today which now draws Thai people from across the kingdom to Ubon Ratchathani and helps to boost the local economy. 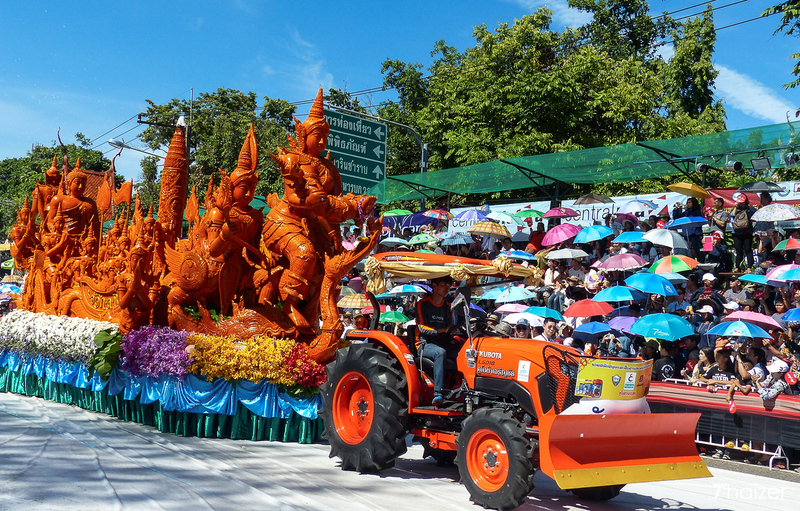 There are prizes for the best decorated floats and most beautiful wax carvings, but the people taking part say they do so to make merit and for the honour of being involved. The Khao Phansa period is traditionally a three month period of abstinence for Thai Buddhists with no alcohol and no eating to excess. Although the old traditions aren’t strictly adhered to in modern Thailand, some people will make a token effort for at least a few days. 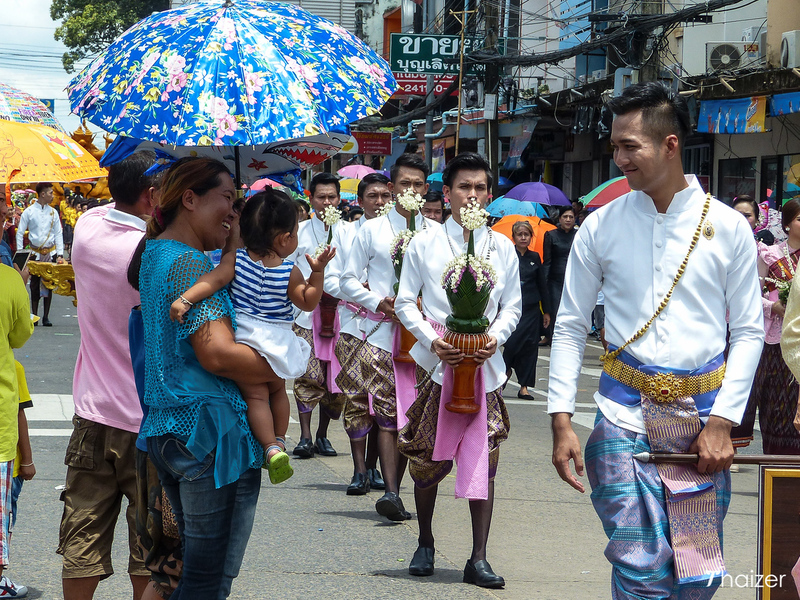 The arrival of the Phansa period is also a popular time for young men to temporarily ordain as Buddhist monks to make merit for their family. 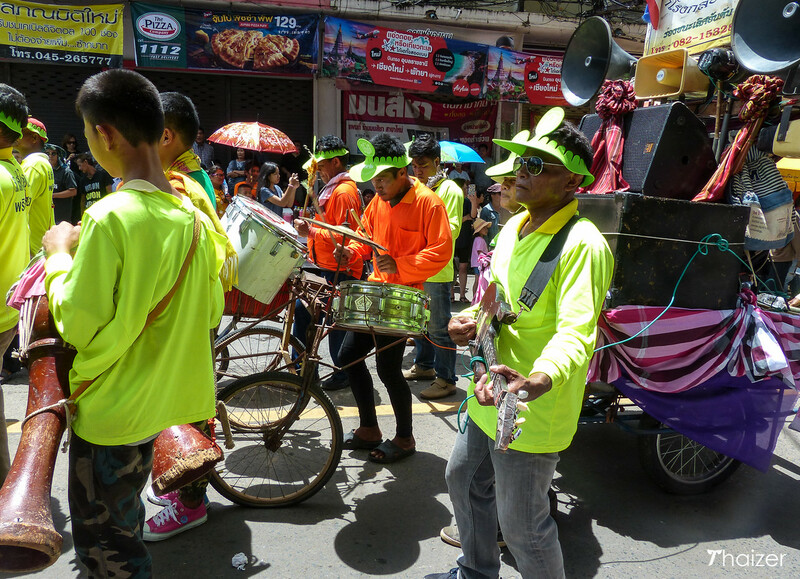 Street parades are held in various areas of Thailand ahead of Khao Phansa with dancing and music accompanying the carrying of candles to local temples. 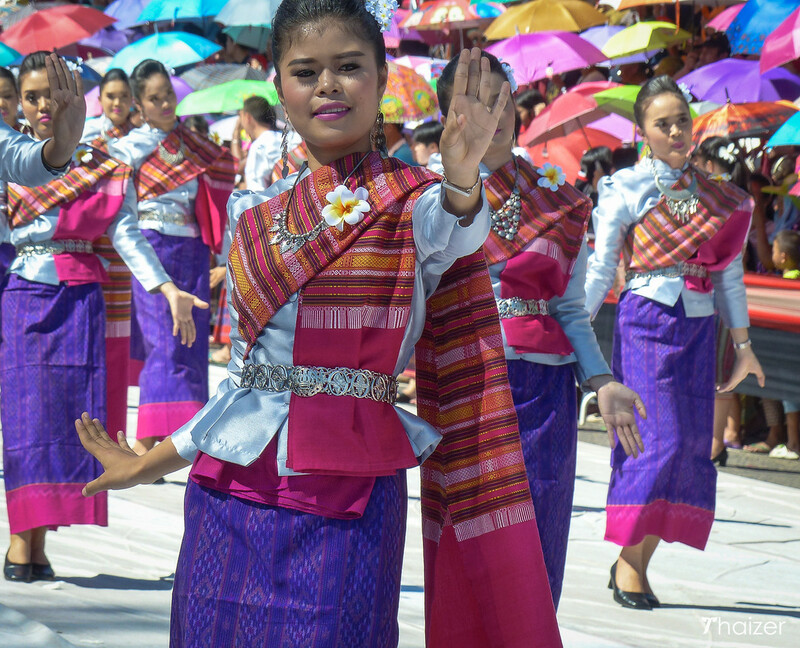 Many of these informal events are arranged by local community groups and if you are in Thailand at this time of year you may stumble across one just about anywhere on your travels. But it is in Ubon Ratchathani where Thailand’s biggest and best know Candle Festival is held. When is the Ubon Ratchathani Candle Festival? 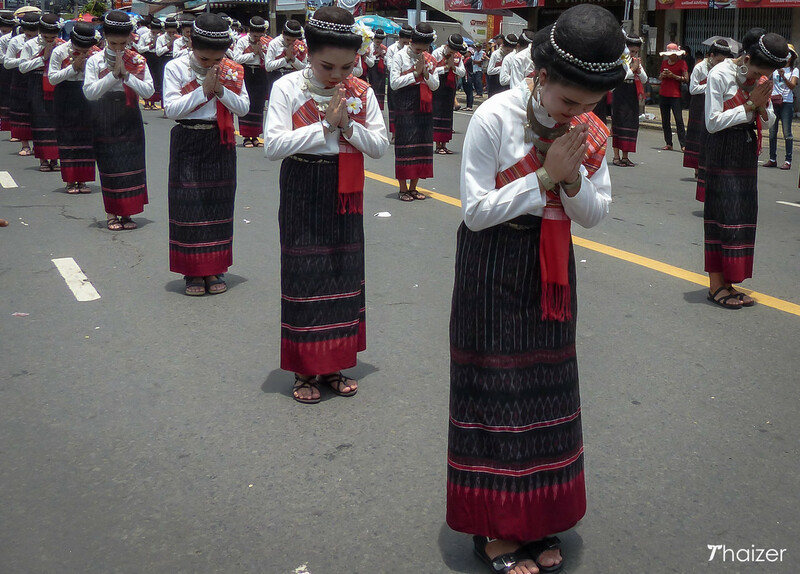 The Ubon Ratchathani Candle Festival usually takes place in July although the exact dates vary from year to year. The main two days of the festival coincide with the dates for Asahna Bucha and Khao Phansa. These dates aren’t fixed and are determined by the lunar calendar. The main focus for the Candle Festival is in and around Thung Si Mueang Park in central Ubon Ratchathani. 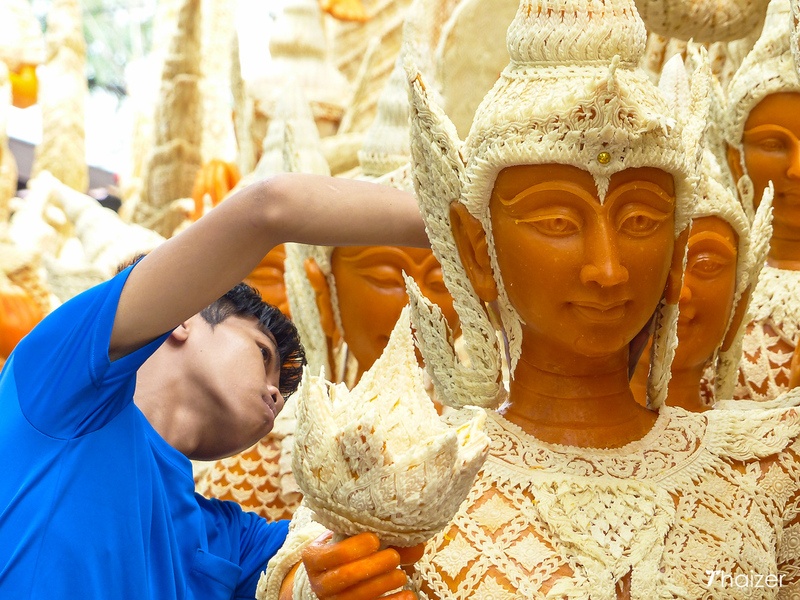 The giant waxwork sculptures are created at various temples around town and it’s possible to see them being worked on in the days and weeks leading up to Asahna Bucha Day. 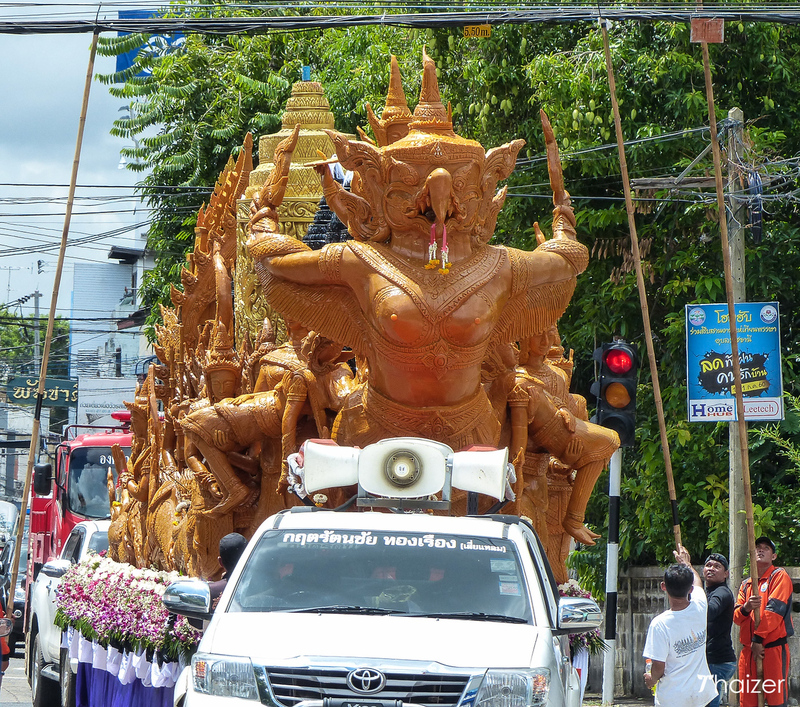 During the late afternoon on Asahna Bucha Day, the floats are pulled to the perimeter roads outside Thung Si Mueang Park. The area in and around the park is transformed into one big street fair with an open-air market, musical performances, and food stalls galore. 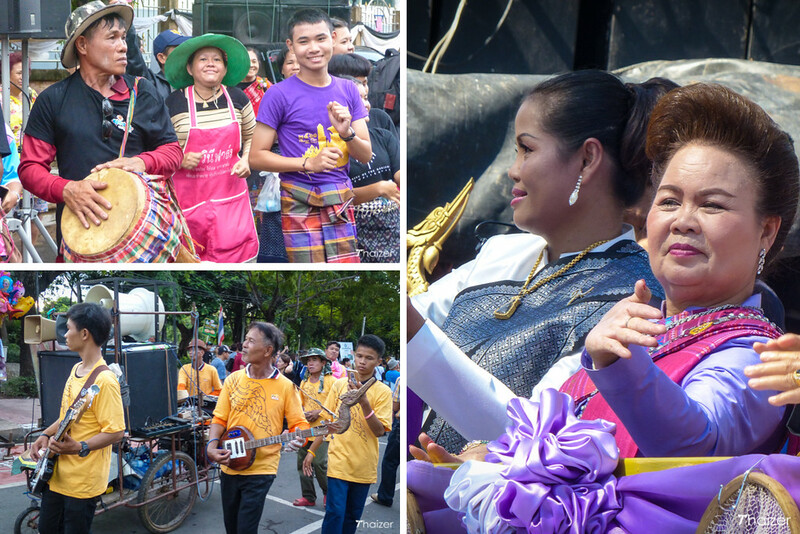 On the morning of Wan Khao Phansa, a huge street parade commences from outside Wat Sri Ubon Rattanaram and continues north along Upparat Road and up past the junction with Suriyat Road. More than 50 decorated floats join the procession. 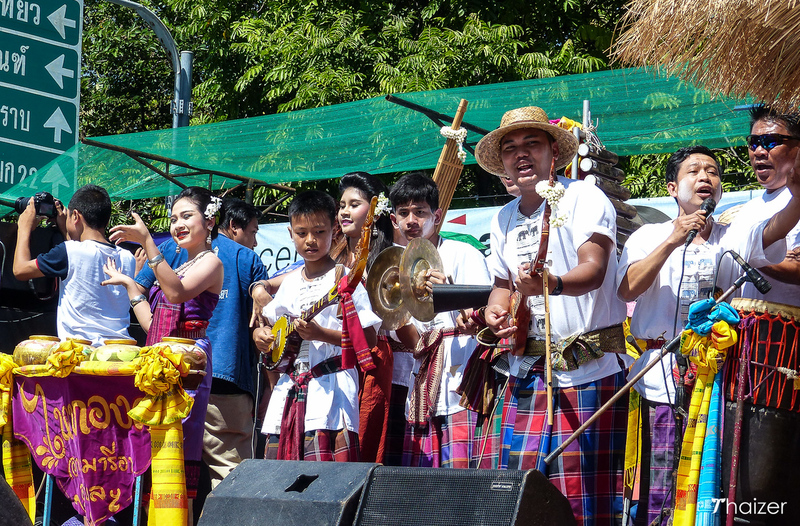 The floats are accompanied by musical performances and displays of traditional dancing with various local community groups from all over Ubon Ratchathani province taking part. Special exhibitions and cultural displays are also held at venues around town in the lead up to the event. 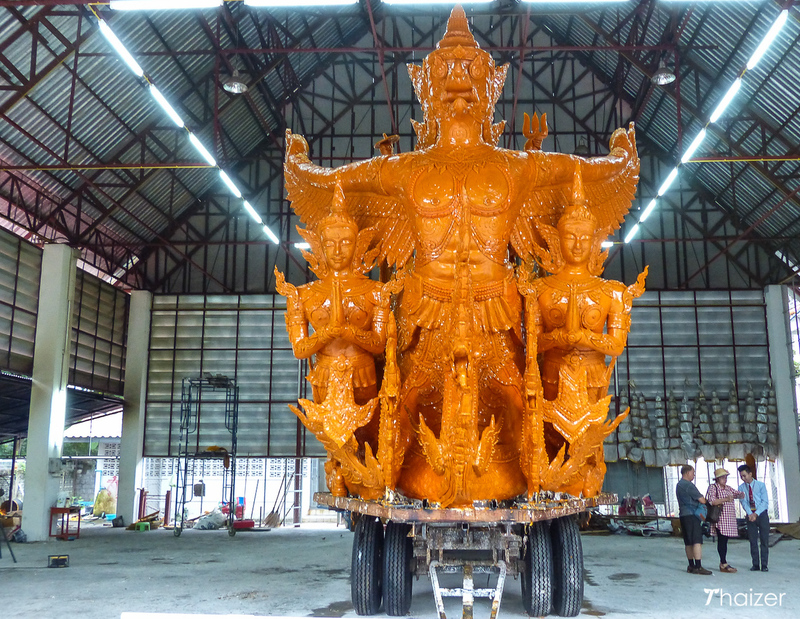 The winning floats are usually kept on display at temple grounds in Ubon for a number of weeks after the festival. 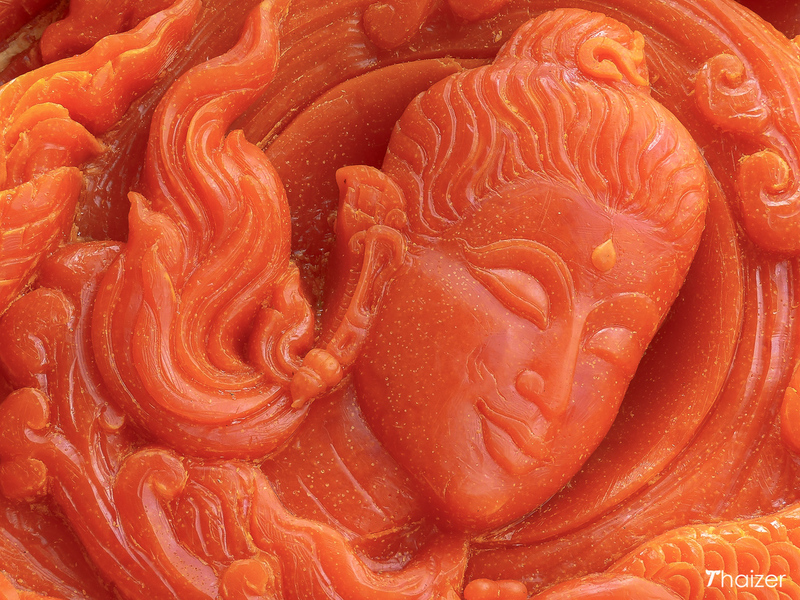 Eventually, the wax sculptures are melted down in keeping with the Buddhist belief that nothing in life is permanent. 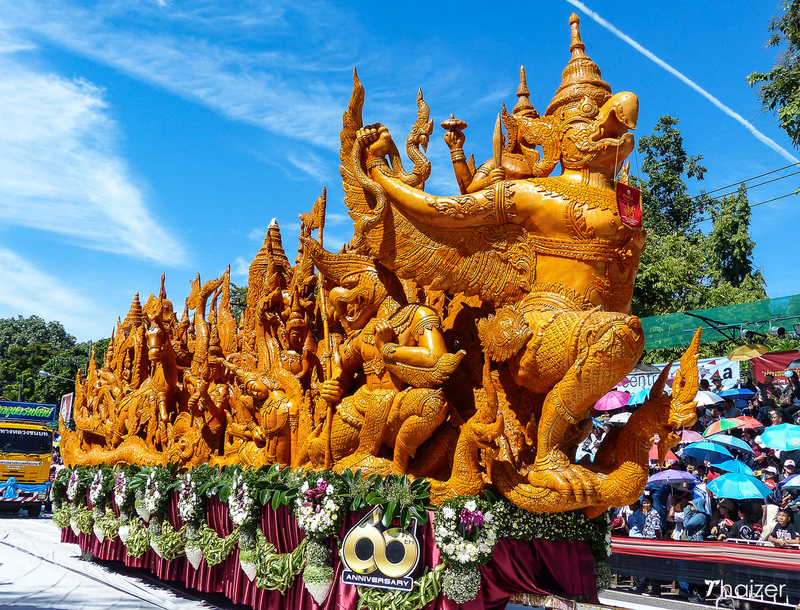 On the evening of Asahna Bucha there are cultural displays in and around the park with the main parade taking place the following morning on Khao Phansa Day. 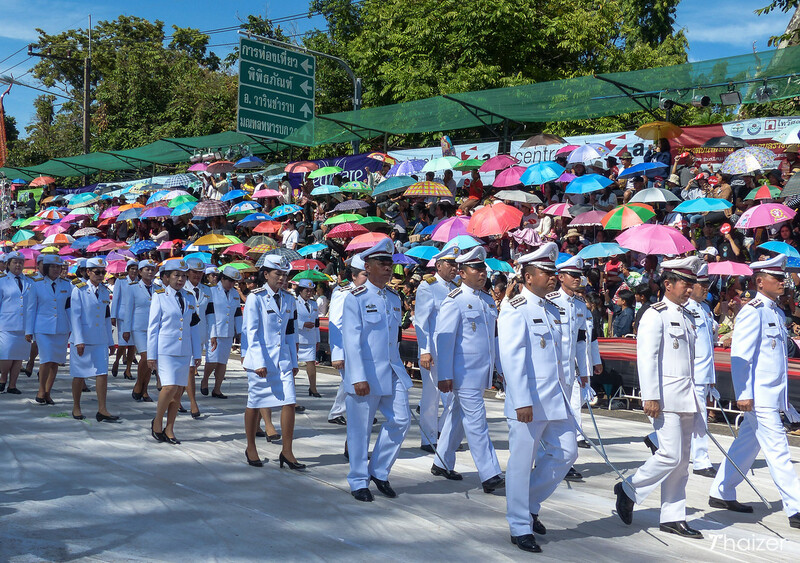 Although there are grandstands for spectators to watch the parade, views can be obstructed by people using their umbrellas for protection against the sun or the rain. 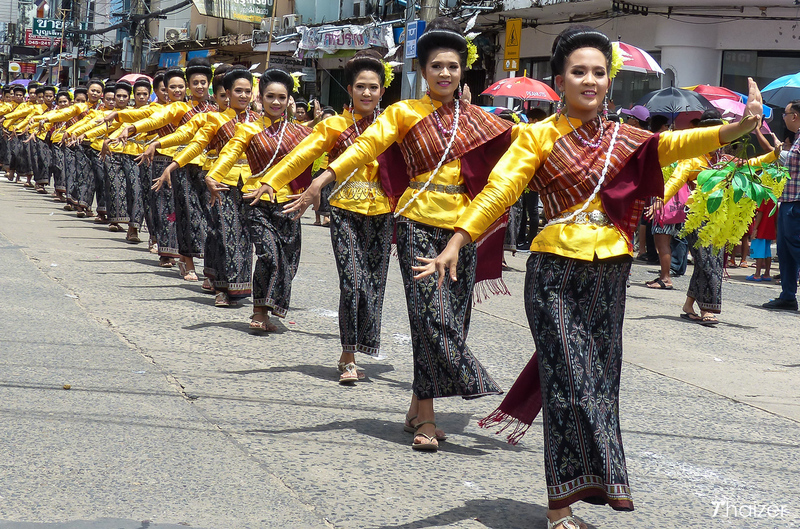 The morning procession usually starts between 8-9am and takes at least three hours to pass. To secure a prime viewing spot in the grandstands or near the start of the parade route, you should aim to get there an hour before although standing in one spot for so long can become extremely hot and uncomfortable. Parade times are also subject to change so check on arrival in Ubon. If you are flying to Ubon Ratchathani there is a tourist information counter in the arrival hall where you can ask for details. Your hotel should also be able to provide information on the event timings as can the Tourism Authority of Thailand office on Kuan Thani Road. The day before the big parade is an ideal time to visit the city centre temples close to the park to see the artists and their helpers applying the finishing touches to the floats. Local guides are also on hand at some of the temples to answer questions. There is an expat community in Ubon Ratchathani province, but foreign tourists attending this event are very much in a minority. Don’t be surprised if Thai people ask to have their photo taken with you and students ask to interview you as part of their English course! There are nationwide restrictions on the sale of alcohol for the two day period covering Asahna Bucha Day and Khao Phansa Day. This means that most bars and clubs in Ubon Ratchathani close for a 48-hour period, but it doesn’t dampen the party atmosphere at the festival itself. The Ubon Ratchathani Candle Festival is an extremely popular event for local tourists and attracts visitors from all over Thailand. Flights from Bangkok to Ubon Ratchathani are often booked out and accommodation is at a premium. Try to book hotels and flights at least a few months in advance. If you don’t have your own transport it’s more convenient to stay within walking distance of Thung Si Mueang Park. There are regular flights from Bangkok Don Muang airport to Ubon Ratchathani. At the time of writing there is also a direct Air Asia service between Chiang Mai and Ubon Ratchathani. Overnight sleeper trains from Bangkok’s Hualamphong train station take approximately 11 hours to reach Ubon.